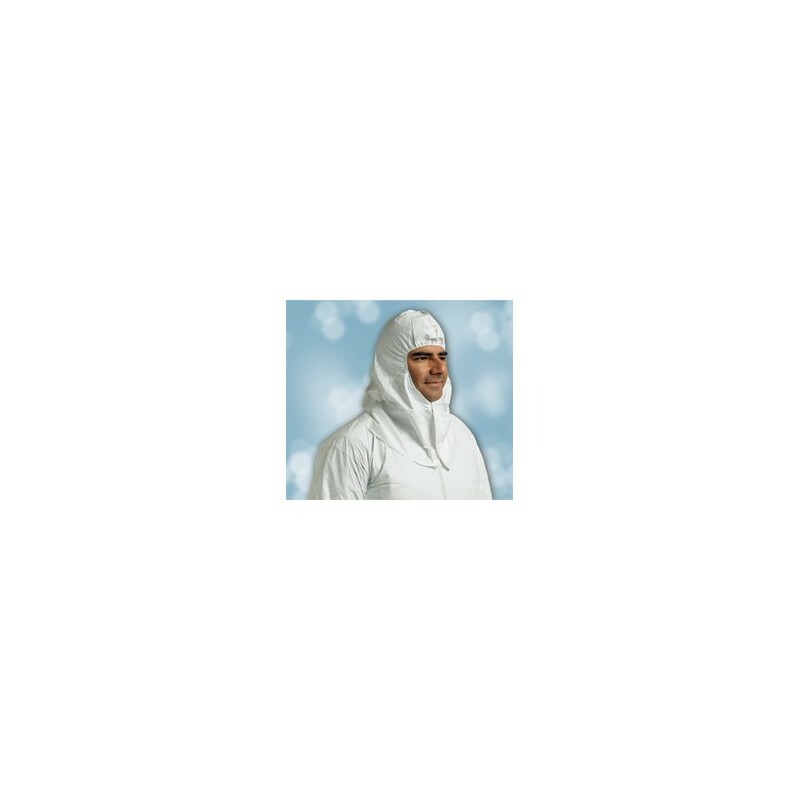 SAF-T-CURETM TYVEK CHEMICAL HOOD snaps on to provide full head and neck coverage. Elastic face opening is intended to fit snugly around a respirator and safety glasses. Anti-static and lint-free. 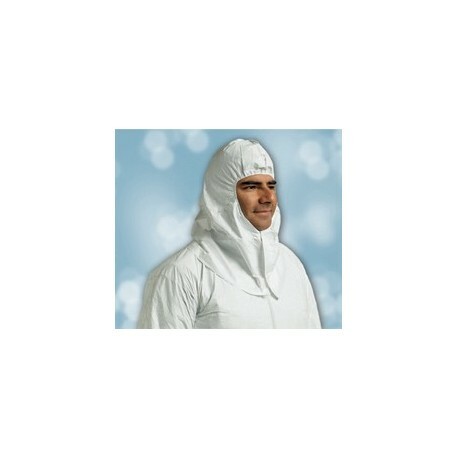 Perfect companion for SAF-T-CURETM Coveralls. Sold individually.